I've always liked the ThinkPad laptop computer even when it was still made by IBM. 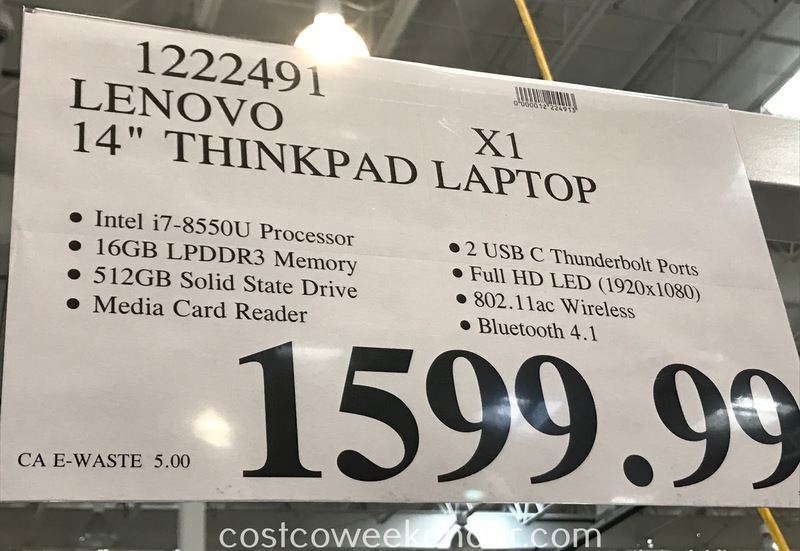 Even though Lenovo has taken over, ThinkPads still have the same quality. When it comes to laptops, you have to go with ThinkPads if you can't afford an Apple MacBook. It's a good thing Costco has the Lenovo ThinkPad X1 Carbon Laptop. 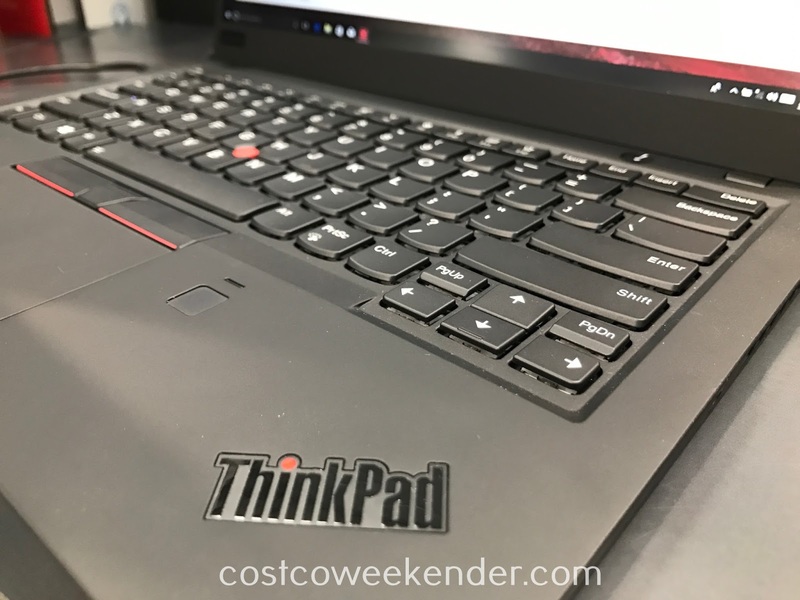 You'll love how it's very light, so you can easily take it with you when you travel or go to the office. The Lenovo ThinkPad X1 Carbon 14" Laptop can be used for the office, school, or for the home. 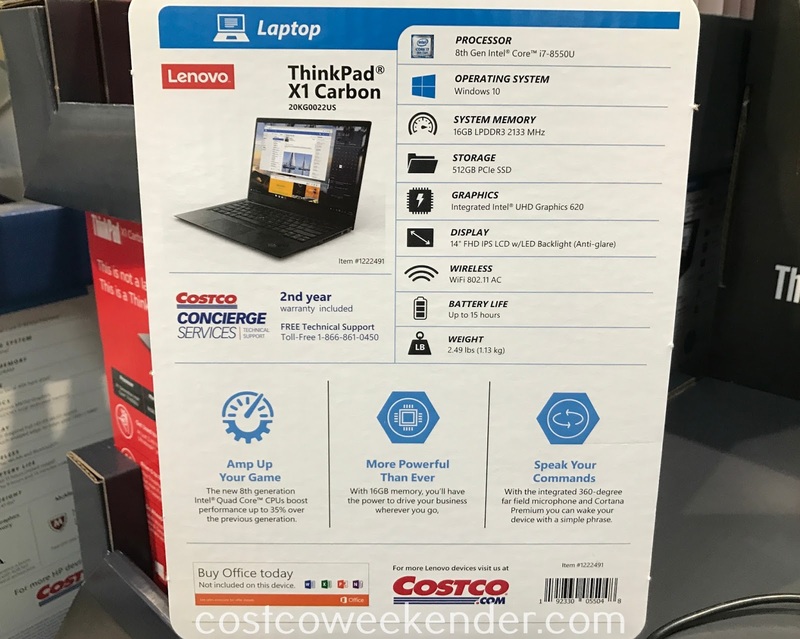 You can easily check email, browse the web, stream Netflix movies, or just get some work done all on the Lenovo ThinkPad X1 Carbon Laptop. 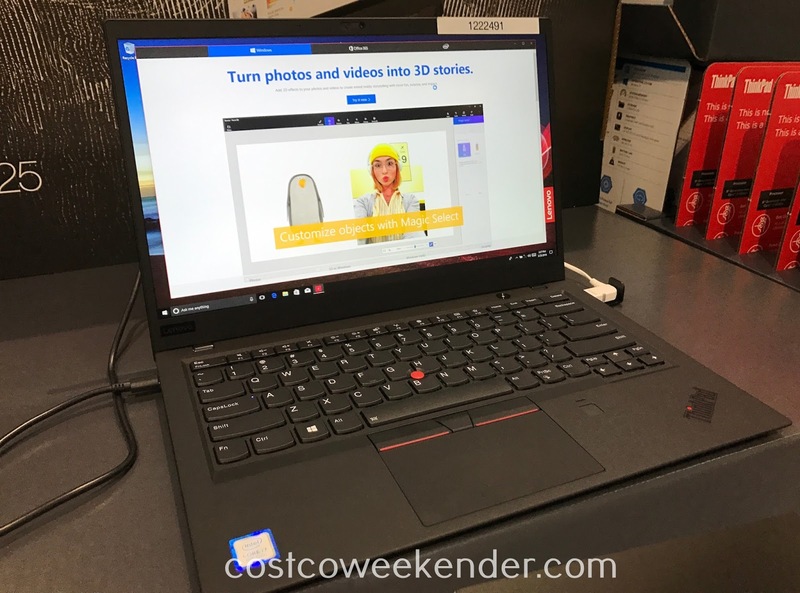 You won't be disappointed in how powerful and lightweight the Lenovo ThinkPad X1 Carbon Laptop is compared to all other laptops on the market. 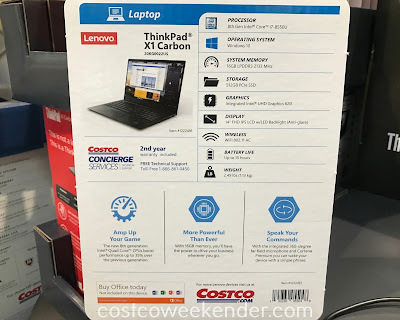 Lenovo ThinkPad X1 Carbon 14" Laptop: This is not a laptop. 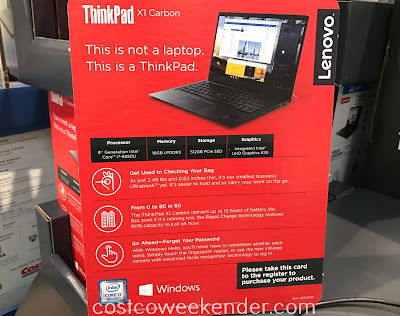 This is a ThinkPad. 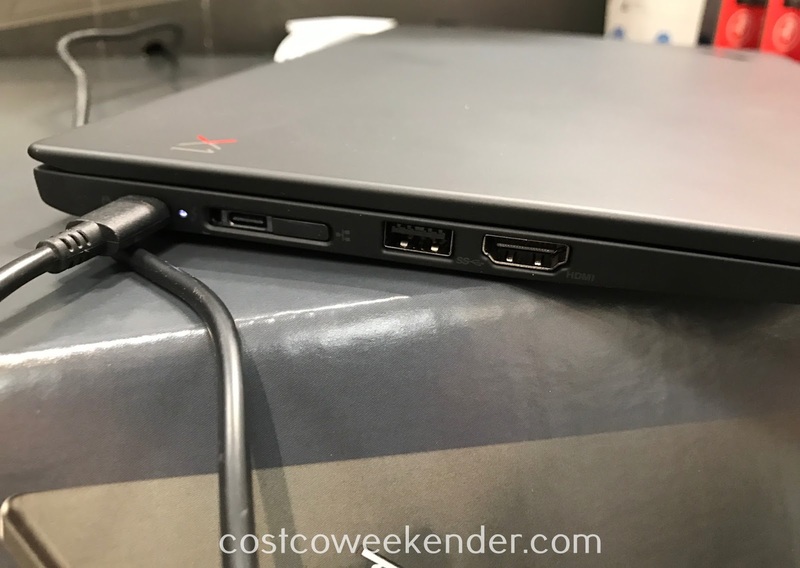 At just 2.49 lbs and 0.62 inches thin, it's our smallest business Ultrabook yet. It's easier to hold and to carry your work on the go. 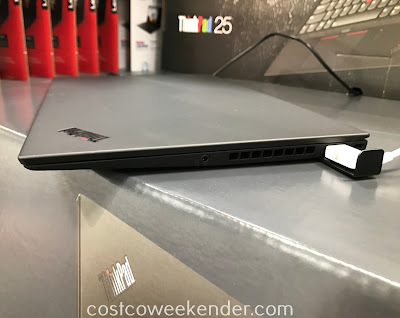 The ThinkPad X1 Carbon delivers up to 15 hours of battery life. But even if it's running low, the Rapid Charge technology restores 80% capacity in just an hour. With Windows Hello, you'll never have to remember another password. Simply touch the fingerprint reader, or use the new infrared camera with advanced facial recognition technology to log in. The new 8th generation Intel Quad Core CPUs boost performance up to 35% over the previous generation. With 16GB memory, you'll have the power to drive your business wherever you go. With the integrated 360-degree far field microphone and Cortana Premium you can wake your device with a simple phrase.